Watercolours for Youth - Boatsheds on the Hutt River Mouth. 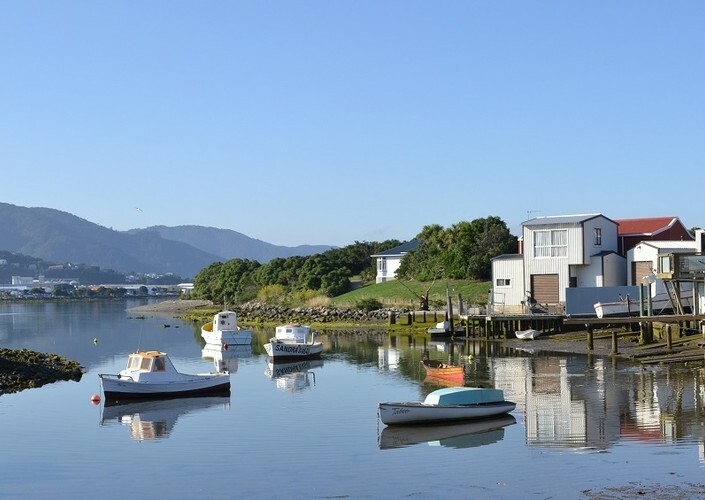 In this 2 hour fun art session, we’ll be painting boatsheds on the Hutt River Mouth and cover the basics of watercolour painting. The drawing will already be done for you to enable us to focus on the joys of watercolour painting. All materials will be supplied, just turn up empty handed and you’ll leave 2 hours later with your own completed watercolour painting you'll be proud of and a smile of creative satisfaction on your dial. Cost $25 (This class is generously sponsored by Watercolour New Zealand who have subsidized half of the $50 normal course fee for youth). Suitable for ages from 7 years old through to late teens.